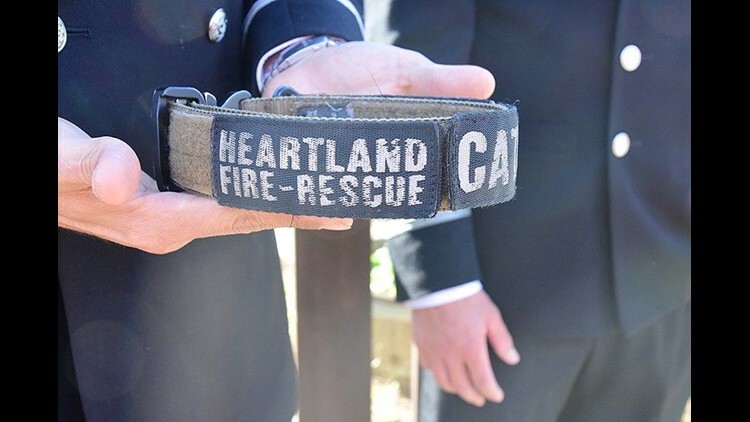 Heartland Fire & Rescue announced the passing of a special member of their team on Sunday. 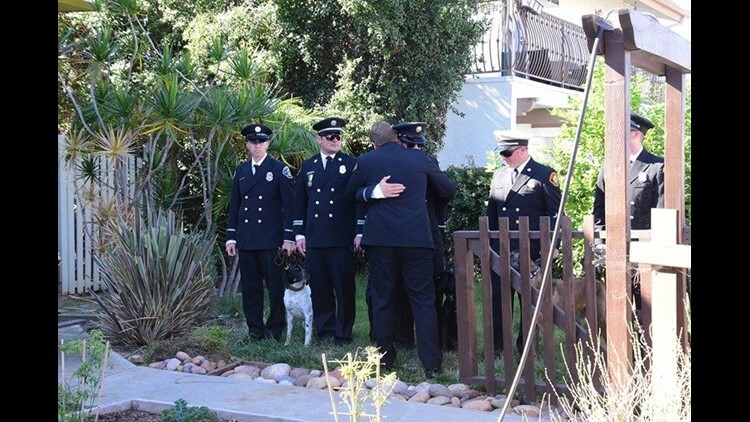 Stella, a disaster search dog, who was also a member of California Task Force 8, died over the weekend. 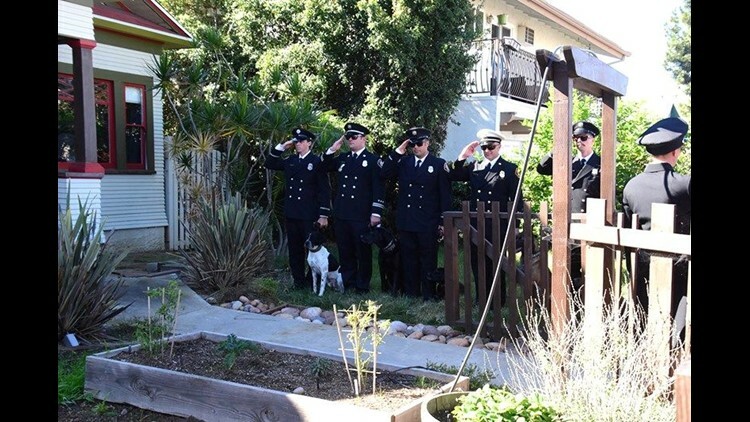 SAN DIEGO (NEWS 8) — Heartland Fire & Rescue announced the passing of a special member of their team on Sunday. Stella, a disaster search dog, who was also a member of California Task Force 8, died over the weekend. Her handler, Capt. Matthew Kirk, is understandably heartbroken. Stella was 11 years old and had been with the department since 2009. It is with great sadness that we have to report the passing of Stella, Captain Matt Kirk's Search and Rescue dog. 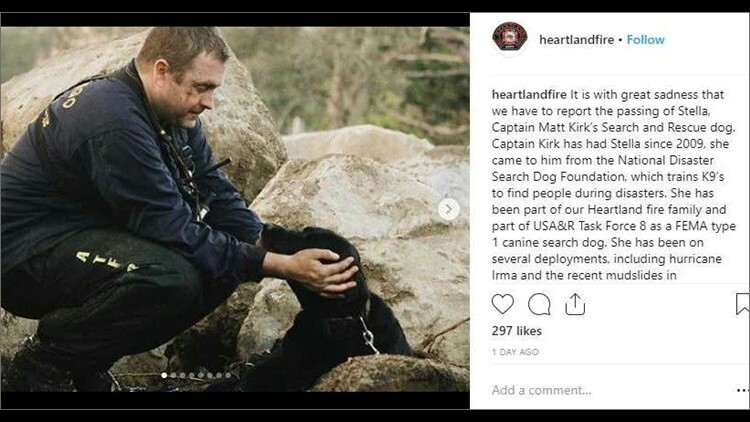 Captain Kirk has had Stella since 2009, she came to him from the National Disaster Search Dog Foundation, which trains K9's to find people during disasters. She has been part of our Heartland fire family and part of USA&R Task Force 8 as a FEMA type 1 canine search dog. She has been on several deployments, including hurricane Irma and the recent mudslides in Montecito. She will be greatly missed and we offer our deepest condolences. We would like to thank Santee Fire Department and San Diego Fire & Rescue for their show of support during this time of need. When I saw photos of Stella, I immediately knew she looked familiar. It turns out, I met her in January of 2018. Photojournalist Tim Blodgett and I did a story with her and Capt. Kirk after they had just returned from that search and rescue mission at the Montecito mudslides. It was one of many mission Kirk and Stella had been on together. They also deployed to Hurricane Irma in 2017. Their bond was clearly special and Capt. Kirk talked about how dedicated Stella was as a search and rescue K9. Stella passed away on Saturday; she had previously battled cancer. Stella spent her last days surrounded by Capt. Kirk and his family. She was so sweet, and it was obvious just how much Capt. Kirk loved her. We took a photo together that I posted on Instagram. Thank you for your service, Stella. You will be missed. See below for photos of a memorial service held for Stella courtesy of Heartland Fire & Rescue. 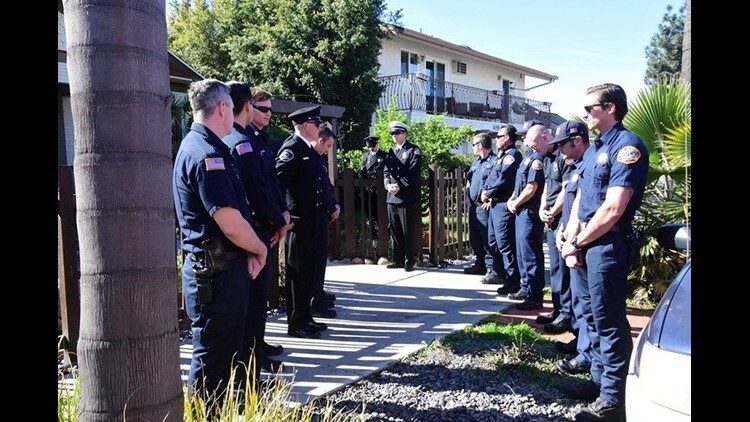 Members of Heartland Fire & Rescue and other fire agencies gathered at the home of Capt. Matthew Kirk to pay their respects to Stella.